I’m not going to tell you what to eat. There are a lot of suggestions out there right now but really, most of us know that a healthy balance is the optimum choice and diving headlong into the duvet like cosiness of endless cakes, pies and steamed puddings is probably not. Firstly I am too greedy for total abstinence and secondly I have two children whom I am determinedly hopeful will develop a happy, sensible relationship with food, loving it as much as I do but knowing what is great, good and not so good for them. Bingeing (Christmas or otherwise) followed by crash dieting wouldn’t be an ideal example for them and terribly unhealthy for me and my husband. So what is my attempt at the middle line? 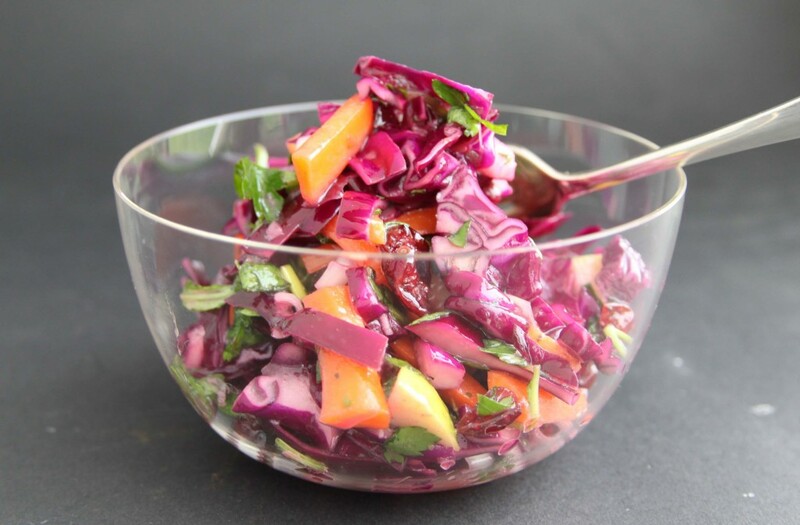 During the week my lunches are usually vegetable based soups or huge, sustaining salads full of delicious things and I try to keep well away from any processed sugars or white carbs. Come the weekend I will relax a bit and particularly as the children are around then, a variety of treats will hit the table. Alongside all that is fresh, crunchy and good for us there might be a good loaf or some homemade pizzas and I couldn’t imagine Sunday lunch without a proper pudding…. This week then I have been tucking into my Christmas salad (December 2013 and pictured top) which, like a puppy, is not just for Christmas but a fabulous, crunchy full of flavour salad and also my Kale, Lentil and Bacon Soup (October 2013, pictured above). To offer a little balance and prove I am no goody goody, we had Golden Syrup Sponge Puddings (January 2014) at the weekend (perfect treat after a long walk) and I have just made some Flapjacks for the children to tuck into after school. For these I used my usual recipe (Flapjacks, October 2013) but replaced the oats with some Cranberry and Sunflower seed muesli we had been given; what a winner, fabulous flapjacks and one less packet gathering dust in the larder. I’m so impressed by your blog – you write beautifully and make me want to try lots of your recipes…I’ll let you know how I get on! Thank you Louise, lovely of you to say so! I so agree, healthy eating is key. I am trying to lose the little bit of weight I picked up in December, without depriving myself. Happy 2015 to you! Thank you and to you too Tandy! Totally agree with you, try to stay in the middle, too 🙂 While my son was small it was easy, because like you prepared healthy but yummy food for him, and lots of vegetables. Since he’s away for study, though, I’ve gotten bad habits……. You just reminded me of vegetable soups -that’s exactly what I need for this winter!!!!! Thanks Rosa, we are eating a lot of vegetable soups at the moment, such a great lunch! I’m all about balance, too. Yes, eating healthy a lot of the time, but ALSO being allowed to have some treats every now and then. And like you, I’m hoping that I’m passing along that idea of moderation to my little daughter. 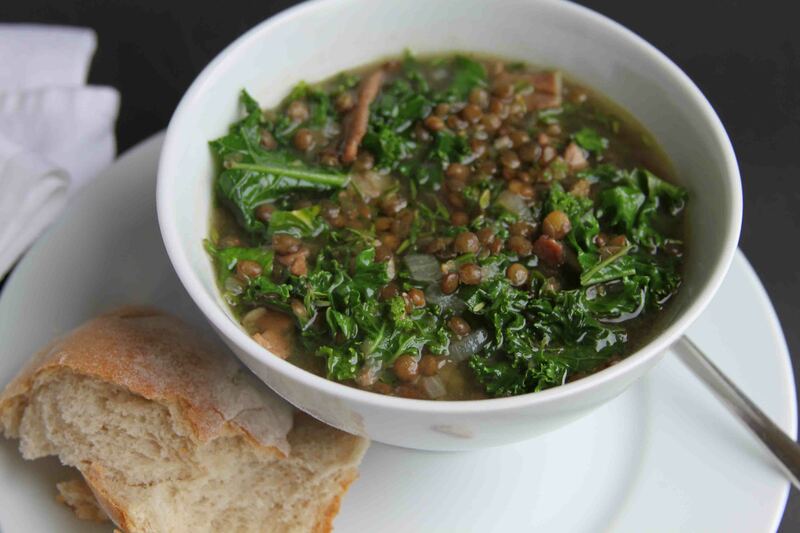 =) That kale + lentil soup looks SO good, by the way! Thank you Cailee, good to know others think the same way! Happy New Year and heres to eating happily and well! These are some gorgeous dishes here! 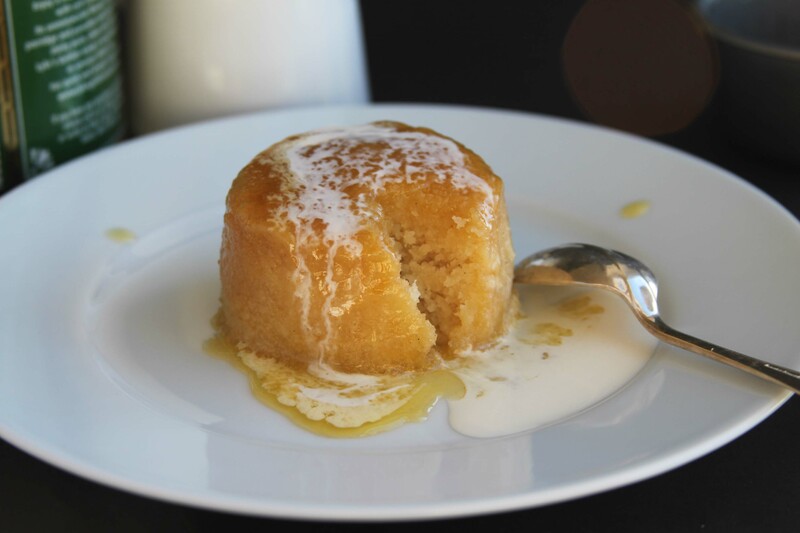 I love that sponge pudding, delish! Gosh! That lentil soup with the crusty bread has my name written all over it! I think I just saw your kale soup on food 52? Happy New year. Yes that is one of mine! Happy new year!This lentil soup looks delicious! Pinned! Thanks Mira, happy 2015 to you too!